The start of a new school year is always very hectic for me, to the point where sometimes it feels nearly maniacal. Not only are there the preparations involved for the children regarding clothing and school supplies, but there is always plenty of paperwork to be done, filing, photocopying or scanning, and emailing. These same things also need to be done for myself, because not only is it the start of a new grade for the children, but this is the time of year where as a yoga and dance instructor, all of my classes begin again. New faces, new programs, advertising, designing, answering questions, and signing papers. Not to mention, all of the blogging upkeep and writing of articles. Of course these are all such rich experiences, and I wouldn’t trade it for anything. However, between work, volunteering, hobbies, sports and leisure, it is easy to book too much in and be constantly on the go without a moment to ourselves. Sometimes we find that we have bitten off more than we can chew and become completely overwhelmed. Just because something is good, doesn’t mean it is good for you. You may be using your time to help others, like volunteering with a charity or on the parents’ board at your children’s school. But if it is cutting back on much-needed family time, or interfering with your relationships, perhaps now is not the best time to be involved. No matter how much good your commitment is contributing to a cause you are passionate about, decide if it is at the top of your priority list at this moment. If not, find a way to scale back or cut it out completely for now. There will likely be plenty of time to revisit your commitment at a later time. 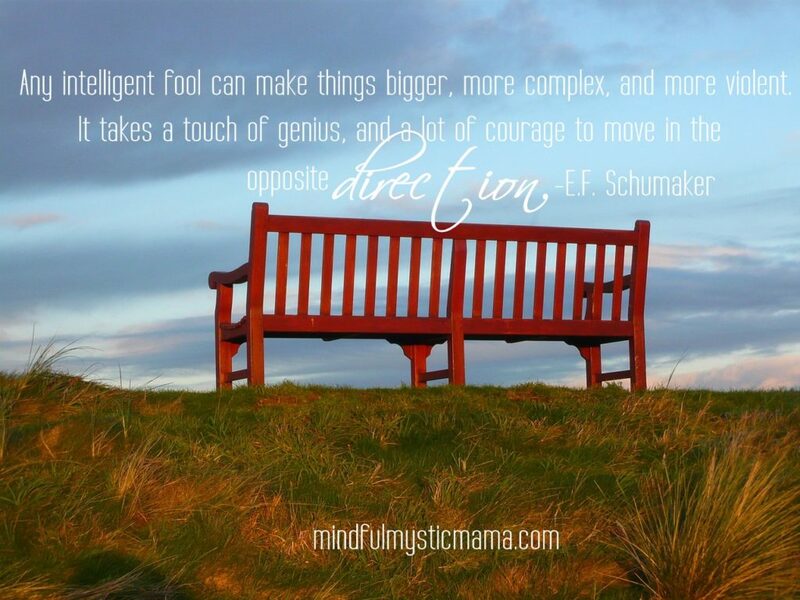 I am a huge proponent of strengthening intuition. The most important thing here is to truly learn to value your own intuition, take the time to pause and listen to it and when necessary, take a stand for it. If you want a quick way to decide whether you are cut out for a particular project, pay attention to how you feel when it is offered to you. When someone has asked you to be involved in their cause, are you feeling a twinge of excitement or slight panic? Pay very close attention, and honor yourself enough to know, that you know. Going with your intuition can serve you well, and keep you from taking on projects that are going to eventually become a constant source of stress to you. It is so very difficult to turn down anything that we love. When great opportunities present themselves, it is second nature to want to scoop them all up and take them all on. I mean, who knows if this chance will come around again, right? Believe me, I know this thought pattern well! Simplify, simplify, simplify … and try to trust that any amazing opportunities that you are extremely passionate about have a very high chance of coming around again. They really do. If you have been asked to be involved in something you fully believe in, but don’t have time for, think of a way you can compromise. Perhaps you can split the job with one or more people. Or perhaps it can wait until your schedule frees up a little. In any case, there are almost always ways to make a commitment more manageable. It’s taken me a very long time, but I am finally learning the fine art of delegation. Although you may have many passions, and believe in many causes, there is only a certain amount of time in each day. (Bummer. I know.) If you find yourself leaping enthusiastically into role after role that seems perfectly cut out for you, try to slow down. Put things back into perspective and choose only what you feel absolutely compelled to do … those things which set your soul on fire. (Followed by those things that give you goosebumps … you get the idea). Cut out the rest, and take some time to focus before taking on any more. Too often, we feel that we must become a superhero of sorts and commit ourselves to a breaking point. Being over-committed doesn’t benefit anyone, after all is said and done. We will cause more stress to ourselves than necessary, and we will be unable to give any of our projects our full attention or our best efforts. Choose your priorities and make a decision to be involved only in a few choice activities, instead of over-committing yourself … like too little butter (thank you, Bilbo, for your great wisdom). I’m definitely feeling overcommitted at the moment so these tips will come in handy. I really need to take your advice of just saying no! I can be so bad about saying now. Over commitment is definitely one of my issues! The one thing I have really come to learn to do is say no. I probably still say yes too much, but I’m 90% better than I used to be. I used to be that person who was always over-committed. 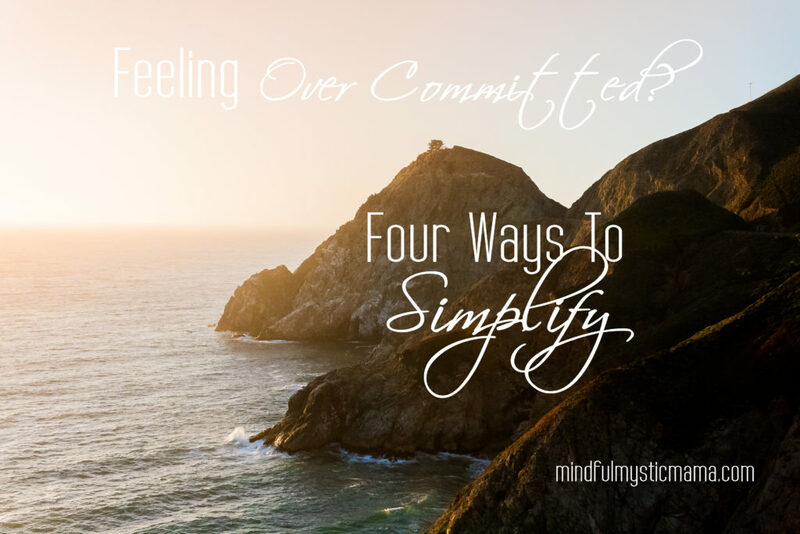 When I stepped back and re-prioritized I found that I knew exactly when to say no. i’m totally overcommitted. also overwhelmed. especially today, right this moment. I hear you, Brett ~ Hang in there! Those are really great tips. I always take on more than I can chew then I’m rushing through things which I hate. I really need to prioritize as well.